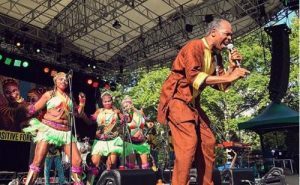 Femi Kuti tackles critics over Fela comparison – Royal Times of Nigeria. Afrobeat singer, Femi Kuti has responded to critics after he was yet again compared to Fela Kuti, his late father and pioneer of Afrobeat. Following the release of Falz’s ‘Moral Instruction‘, a socio-political album which sampled three Fela songs, some music fans turned to Femi to ask why his songs are not as critical as his father’s. The Afrobeat veteran responded by saying he does not want to be his father and that he has nothing to prove after ten albums. The ‘One People, One World’ singer also denied allegationa that Fela wrote some of his early hit songs such as ‘Wonder Wonder’. 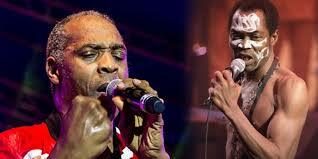 Femi Kuti also disclosed that he is away on holiday and in the process of “trying to complete his next work”. The musician’s brother, Seun Kuti, has been nominated for the 2019 Grammy awards, in the best world album category.